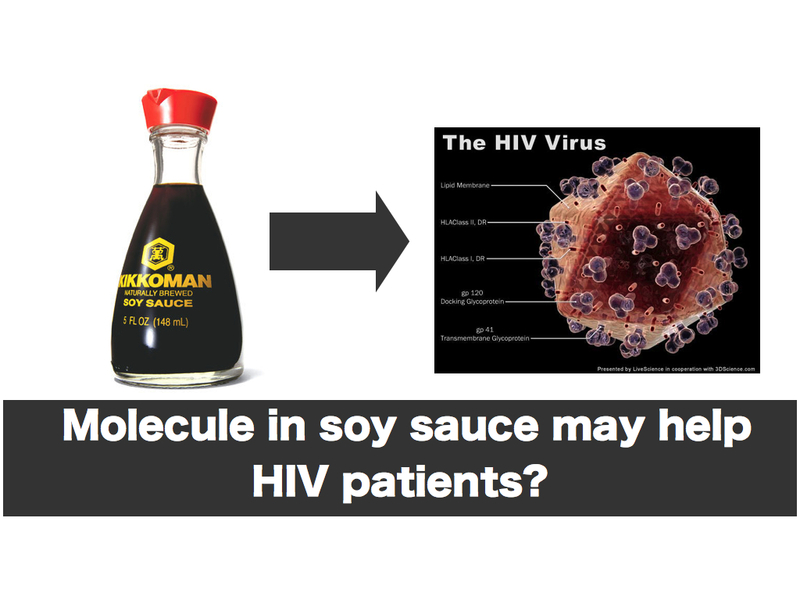 Molecule in soy sauce may help HIV patients? An amazing research result was revealed by the study of the University of Missouri in their paper. According to their paper, the soy sauce used in Japanese food is likely to contain a strong molecule “EFdA” which can be 70 times more potent than Tenofovir(the major anti-HIV viral drug).